Open Air Precision Low Ohmic Resistors (LRA) Feature Longer Thermal Path. 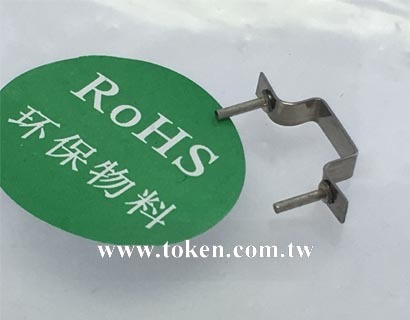 Token's current sense LRA open air resistors are expected to gain wide acceptance in the worldwide market as a result of increased thermal management capabilities. The LRA series is designed for applications requiring the transfer of heat away from circuits and solder joints. Available in 0.5W, 1W, and 1.5W rating, the resistor is being specified for current sensing, feedback, current detective, supper low inductance, as well as surge and pulse applications. The hot spot on the LRA open-air resistor is approximately 0.2 degrees higher than on a typical metal strip chip resistor. This results in an increased thermal path for the LRA, reducing heat transfer into the solder joints and circuits. The flameproof LRA low resistance value resistors are constructed of a wire resistive element with welded copper leads to prevent solder wicking, which can change the device's resistance value in the circuit by as much as 30%. Because of this, the device is ideal for thermally harsh environments, including automotive and aerospace applications, as well as enclosed, poorly ventilated circuits in applications such as laptop computers. The LRA Open Air Series feature a reduced pitch, or spacing between the leads on the circuit board (with a corresponding increase in the board mounted profile), when compared to the standard Token LRB Series devices. The LRA resistors are rated for 1W or 1.5W at 70°C, with resistance values from 0.1Ω to 0.003Ω and tolerances down to ±1%. Operating temperature range is -50°C to 300°C. The LRA Series is available in bulk packaging in 200 increments. 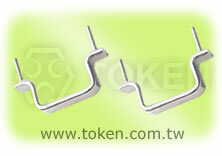 Token will also produce devices outside these specifications to meet customer requirements. A lead-free RoHS-compliant version is available, as is a non-inductive version for high frequency applications. Contact us with your specific needs. 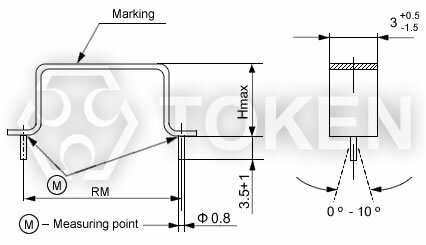 Download PDF Specification Precision Low Ohmic Resistor. ±1%, ±2%, ±5%, ±10% standard tolerance. High stability bare metal element open air style. Automotive Current Sensing, Feedback System. Power Supply Shunt, Current Detective. 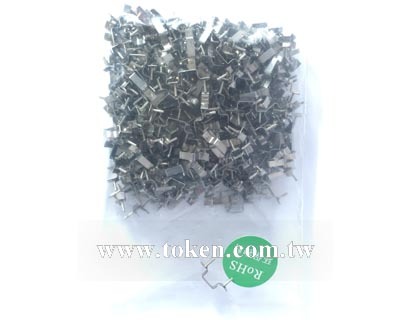 The resistive elements consist of a flat metal-band. Spot welded Cu-terminals ensure high stability of contacts. Non inductive of both high stability and overload capacity. Resistance to soldering heat ( 260°C,10s ) [ ]% ±0.2 typ.